Start your day with a bowl of Radiant’s delicious golden flakes which are grown under the Italian sun. These crispy golden flakes are lightly coated with organic rice malt syrup to create a delicious breakfast suitable for all the family. Made from organic corn for ultimate natural nutrition. Organic corn, organic evaporated cane juices, organic malt extract and salt. 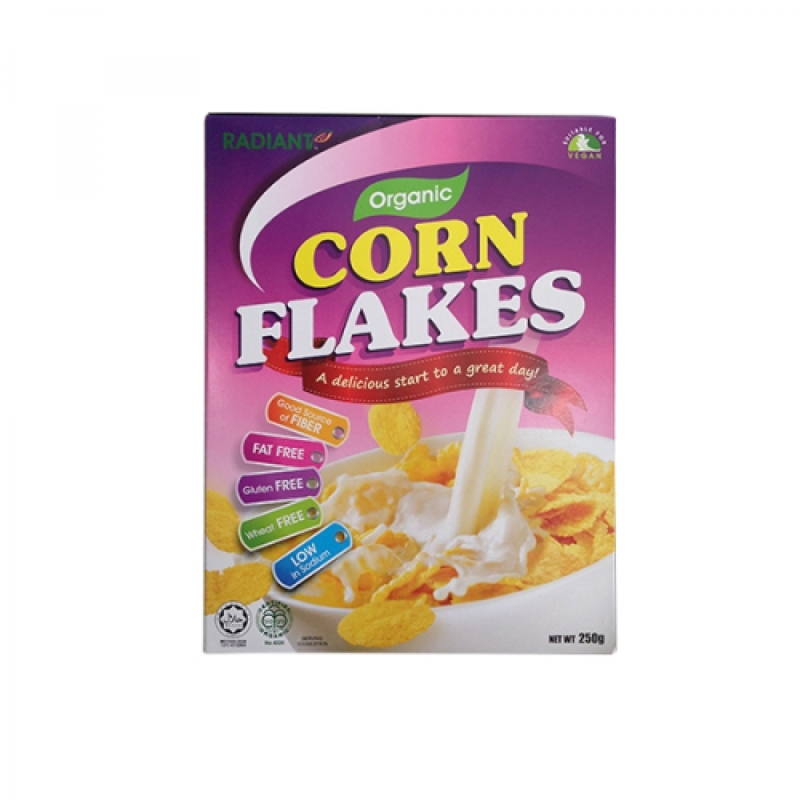 Add organic dairy milk or other healthy milk replacements like rice milk, soy milk or oat milk to corn flakes.